Finally got free time on my hands to visit my blog and post something that I really love! It has been months since I last blogged. hahaha Busy ang peg ko kaka trabaho at kakaisip ng madaming bagay. LOL. Now that I have time, I can finally share the good news (hint: the picture on top). I guess I have made a decision. I am now officially enrolled to this make up artistry school!!!!!! Yes you heard that right, ang feelingerang babae ay mag aaral ulit.hahaha..
To be honest, looking for the perfect school for make up artistry was really hard. I have been searching for a business kung san hawak ko ung sarili kong oras (naisip ko pang maging online seller) kung saan sa tingin ko magiging magaling ako at eto na ang result. It all started when my friend Gherri and I had our "just the two of us date" last week. We went in to this shop in Serendra (PURE BEAUTY) to look for Urban decay make up palettes and see the difference between an authentic over a fake one.Then I discovered that they have a school of make up artistry, parang bigla na lang may bumbilya na tumunog sa taas ng ulo ko THINNNNNNNGGGGGG!!!! The next day..gusto ko na mag aral.AGAD AGAD. I did a research on different schools where I can save money (though I know tuition fees ranges from 20-30k) and at the same time alam kong matututo talaga ko. 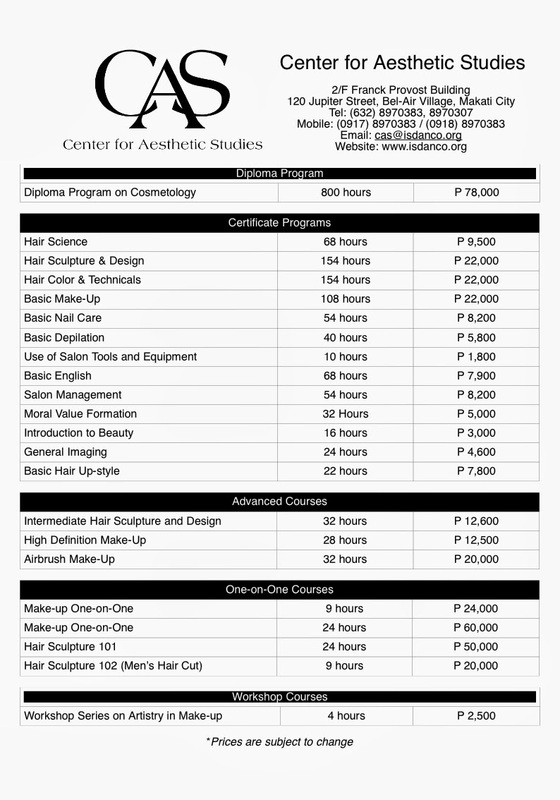 Gosh.. that is pretty expensive para isang katulad kong simpleng mamamayan lamang,kaya naman naghanap talaga ko ng sulit na malupit pa na make up artistry school. 1.I got the 40% discount!!! Instead of paying the whole 30k package they gave me 18k! Akalain mo nakahabol kame ni gherry? 2. They have saturday classes good for busy busyhan people like me. 3. Reviews are great! I checked different blogs and they all love the experience being a student of MP. 4. They provide all the tools and make up materials. 5. Sponsored by MAKE UP FACTORY- products from Germany. 6. The school is just a 5 min walk away from my office. Hindi haggard. 1. Not accredited by TESDA. Hindi naman siya ganun kahalaga para sa akin kase halos lahat naman ata ng make up schools sa Manila hindi TESDA ACCREDITED. 2.Bring your own model.They can also provide their model for the amount ph PHP250. PRICE: 22,000 PHP not sure if this is updated or if they have any promo for summer class. VERDICT:Looking at the price list i found on the website CAS, hindi kaya ng budget ng lola nio for a BASIC class. SO......X ka sken. 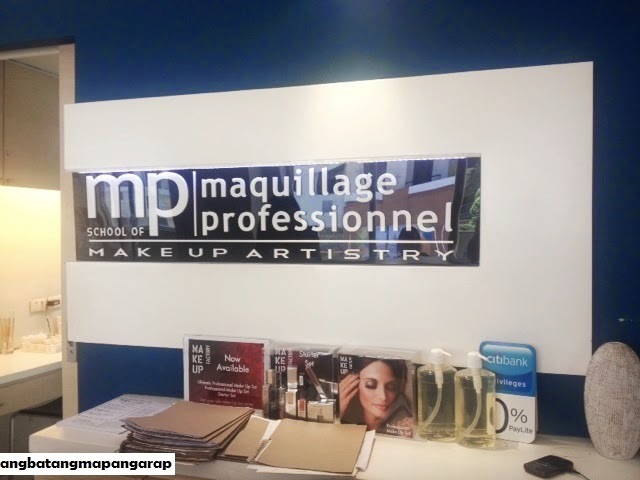 GOOD: MUD is the only make up school that is internationally accredited. Location is far away from home, Haggarda na ang lola nio pag dating malamang hulas na ang beauty ko bago pa man din mag start ang class.Bring your own Model. No website at all. No review yet. Not a TESDA accredited school. I talked to someone over the phone pero pa iba iba info na binibigay nia, kaya nawalan ako lalo ng gana. GOOD: I have read a lot of reviews regarding the school and this school really means business. They take the business daw seriously so mukang ok naman. They provide models for the daily sessions.Inclusive of portfolio shoot. Location is far away from home. Good luck na lang sa akin sa MAY!! !I hope makapasa ang beauty ko at wag naman clown magawa ko. YAHOO! Mag popost din siguro ko ng day to day activities namen starting May!!! 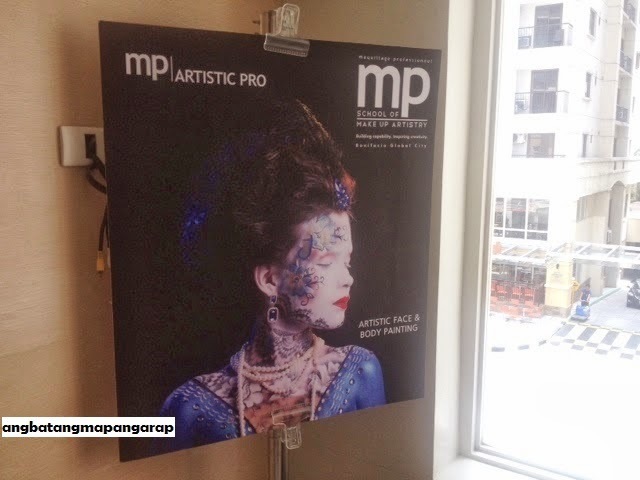 This entry was posted on Monday, March 24, 2014 and is filed under akoatbp,makeup artistry,maquillage,maquillage professionnel. You can follow any responses to this entry through the RSS 2.0. You can leave a response.